These rules are based on the RN Code. They specify the necessary aspects for the Gokart Series. 1.1: By joining the Gokart Series, participants declare their agreement with the authority and actions of the admin board. 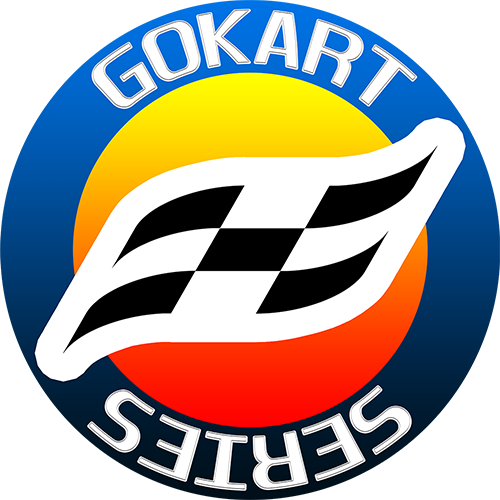 1.2: Participants must be recognizable in all Gokart Series and Racin Nexus areas. 2.1: The race thread must be read and minded. It contains the vital information for the race. 2.2: Briefing: During the briefing drivers must pay attention carefully. They are expected to know and mind everything addressed. 3.1.1: Physical contact with other cars or relevant track objects is not allowed. 3.1.2: Blocking in form hindering the opponent form negotiating the track is not allowed. 3.1.3: Sqeezing / pushing the opponent to the limits of the race track is allowed as long as he is given enough space to negotiate the track. 3.1.4: Positions gained by unfair actions, for example hitting, shortcutting or jumpstarting, must be given back. 3.1.5: Unless leaving or entering the pits, racing on the apron is not allowed. Exceptions will be addressed respectively. 3.2.1: Damaged vehicles must be repaired or changed. 3.2.2: If the competitor or vehicle is unfit to race safely and match minimum performance requirements, retiring is mandatory. 3.2.3: Exceptionally slow competitors must not disturb others. They must behave predictably and keep as far away from the racing line as possible. 3.3.1: The grid must wait for the green by the respective authority. Human indicators override technological indicators. 3.3.2: At (re)starts, when green flies, overtaking before the Start / Finish line is permitted. 3.3.3: For safety reasons, the administration recommends racers to stagger / drive in zig-zag formation during the pacing / yellows. 3.4.1: During local yellows passing is not allowed. 3.4.2: During full course yellows passing is not allowed. 3.4.3: The physical leader of the grid must keep enough distance to the pace car. 3.4.4: If necessary, when the race (re)starts, the physical leader must accelerate to a reasonable speed before green. This will be addressed respectively when applied. 3.5.1: Blue flagged competitors are to let the lapping competitors by as soon as possible in an as safe as possible way. 3.5.2: Lapped competitors may only pass the lapping competitors if they are clearly and consistently faster or if the lapping competitors agree to have the lapped competitors race them. 4.1: In case of organisational problems, the administrators will consult and inform about the decisions made. 4.2: Administrators will interfere as they see fit. If you want to report an issue then send the demanded info below to oriatana@gmail.com. If you want to protest against a decision made by the admins then send the demanded info below to oriatana@gmail.com. 6.1: Penalties are based on the regulations and most of all consideration of the admins. 6.2: If instead of a penalty a warning is issued, that warning should be minded as a signal to improve oneself. 7.2: The results of the 2 highest scoring drivers are counted for team scoring. 7.3: In case of a tie, the driver/team who reached the position/score first has the advantage. 7.4: Unless a red flagged race is treated otherwise, the standings of the last recorded lap will be referred to for final results.